The Summer Olympics are focusing attention on the nation of Brazil, which has a growing presence in Connecticut. Ten cities across the country have consulate offices, including Los Angeles, New York, and yes, Hartford. 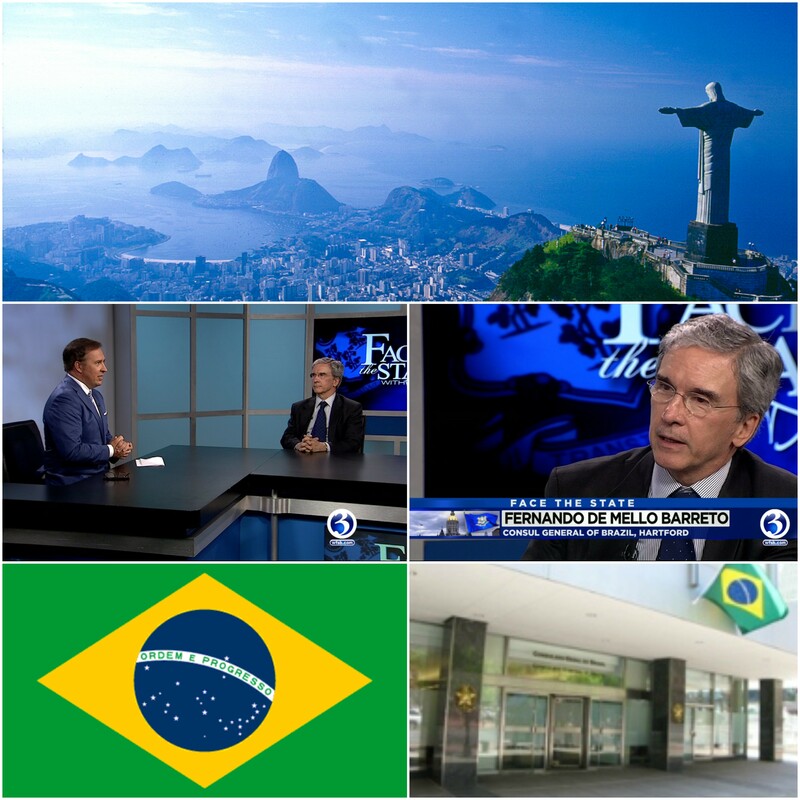 On Sunday’s Face the State we met the general consul of Brazil, sent to Hartford by the government in Brasilia to help the tens of thousands of Brazilians in Connecticut. Fernando de Mello Barreto talked about his official duties here, and the impact the influx of people from his homeland is having on our state. What’s Next for Susan Bysiewicz?